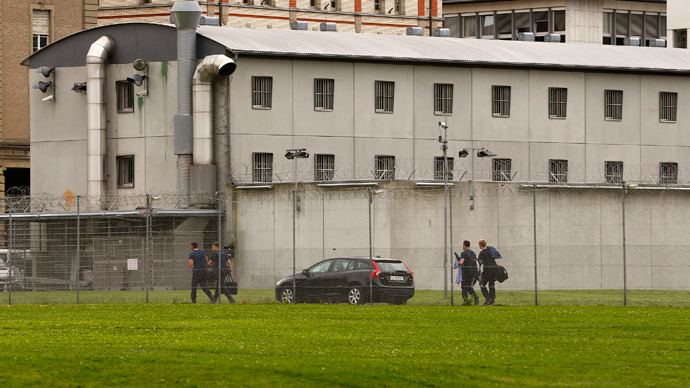 Switzerland is considering transporting detainees to France or Germany as its own correction facilities are overcrowded, according to the chief Swiss prison official. That’s what Switzerland’s Justice Ministry is considering, following a recent SRF broadcast in which Swiss prison head Thomas Freytag said the Alpine state’s prison capacity was over 100 percent. On Friday, Switzerland’s Federal Department of Justice and Police asked the Federal Office of Justice, which is under its auspices, to clarify under what circumstances the prisoners could be allowed to serve out their time abroad. Prisons in the country’s French speaking western cantons or states are said to be particularly taxed. Germany and France have both been mentioned as states which could potentially take convicts. When asked to comment on the plan, the Geneva State Councilor Pierre Maudet told Radio Television Suisse (RTS) that he found the idea “attractive." Switzerland, a country of roughly 8 million people, had 7,072 prisoners as of 2013, according to International Centre of Prison Study statistics. The country has 110 correctional facilities, with a max system capacity of 7,048. With roughly 87 prisoners per 100,000 people, its incarceration rate per capita is higher than that of Germany (78 per 100,000) but lower than that of France (107 per 100,000). It remains unclear when such a plan would be implemented, or if France and Germany would actually allow the convicts to be serve out their sentences on their soil. Switzerland isn’t the only rich European state to find itself with more prisoners than space. In December, Norwegian Justice Minister Anders Anundsen sent a request to his Swedish counterpart, Beatrice Ask, asking him if they could rent out some of Sweden’s prison space. Norway reportedly has 1,200 people for whom prison cells are needed, with authorities warning the problem could pose a serious threat to law and order if it is not rectified. A Swedish justice ministry spokesman said at the time it was not ready to comment on the proposal. Norway locks up just 71 people per 100,000 of its population, just slightly above Sweden’s figure of 67 per 100,000. In 2010, Belgium became the first country to send its inmates abroad after dispatching 500 inmates to the Netherlands in a 30 million euro ($41 million) a year deal.